As we get closer to the weekend, it is easier to relax and look forward. 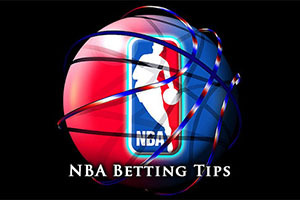 There are plenty of great NBA Betting opportunities coming up, and while Thursday is traditionally a quieter day, you can rest assured that there are plenty of games lined up in the next few days for you to enjoy. There were also plenty of games on Wednesday night, which we will go over now. The Pistons didn’t enjoy their trip to Indiana, suffering a 114-109 defeat to the Pacers but the Nets were more successful on the road, the Brooklyn side enjoying a 93-109 win in Toronto against the Raptors. The Thunder were also winners on the road, defeating the Pelicans by a score of 91-102 in New Orleans while the Rockets were dealing with the Bulls in Houston, coming out on top by a score of 101-90. The Spurs dealt with the Magic in San Antonio, winning 110-103 while the Mavericks were down 128-114 by the Golden State Warriors. The Celtics triumphed at home, defeating the Nuggets 104-100 and the Hawks were also winners at home, defeating the Wizards 105-96. The Timberwolves won a close one, defeating the Heat by a score of 102-101 and the Bucks were good value at home to the Lakers, winning 113-105. The Jazz weren’t quite so good value at home, losing out 90-100 to the Grizzlies. This has the makings of a classic in Cleveland between two teams who have generally been on the up of late. The Los Angeles side may have lost their most recent outing but on the whole, they have been motoring quite well of late. With a 33-16 record, and a 13-9 record on the road, the Clippers can be quite content with how they are going about things this season. Losing their last game was annoying but a 7-3 record in their last ten outings isn’t anything to be annoyed with. Of course, it could always be better and they face a Cavaliers side that have won 11 games in a row. 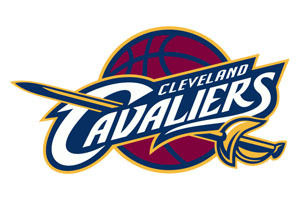 The Cavs hold a 30-20 record going into this one, and there is an 18-9 record in Cleveland for the home team. With respect to average points, the Clippers have scored 106.7 while the Cavaliers are on 101.7. For average points allowed, the Cavaliers have offered up 99.1 per game while the Clippers have offered an average of 99.7. While the Cavs grabbed another win in the 97-84 win against the 76ers on Monday, it wasn’t a great night for everyone. Kevin Love could only finish with 5 points, a season low for the player. Also on Monday night, the Clippers went down in Brooklyn. It was a narrow loss, losing 102-100 but sometimes that can be even more annoying and the Clippers will need to show that they can bounce back strongly in this game. The Cavaliers don’t have any major injury concerns going into this game while the Clippers have concerns over JJ Redick. The Cavs are on a roll at the moment and taking them with a +5 handicap, and odds of 1.90, looks to be a good bet for a Thursday. Bet Now! There is a bit of inconsistency about these two teams at the moment, which could make for an interesting match in Portland. The Suns head into this game with a 28-22 record, and this includes a 13-12 record on the road. The Suns have lost their last two games but they hold a 6-4 record in their last 10 outings. The Trail Blazers hold a 33-16 record this campaign, and this includes a 21-5 record in Portland. The Trail Blazers won their most recent game, but they hold a 3-7 record in their last 10 games, so things haven’t been going too smoothly of late for the Trail Blazers. With respect to average points scored, the Suns have an advantage, holding a 106.6 record compared to the 102.4 record of the Trail Blazers. With respect to average points allowed, the Trail Blazers have allowed 97.4 while the Suns have offered up 104.9. The return of Robin Lopez made a difference for the Trail Blazers, the player grabbing 11 points in the 103-102 win against the Utah Jazz on Tuesday. On Monday, the Suns lost out 101-102 to the Grizzlies, even with Isaiah Thomas grabbing 24 points, a season high for the player. The Suns don’t have any notable injury concerns going into this game but the Trail Blazers have issues over Joel Freeland while Robin Lopez will be monitored after his return to action. Having finally gotten back to winning ways, the Portland side will be keen to maintain this form and taking them with a +4.5 handicap, at odds of 1.90, should be a smart way to have fun this Thursday. Bet Now! The Mavericks haven’t been having a great run of fun of late but this could be the ideal time to head to Sacramento. With a 33-18 record and an 18-10 record on the road, the Mavericks have clearly been putting teams away this season, but they lost their last game and hold a record of 5-5 with respect to their last 10 outings. The Kings however hold a 17-30 record, and this includes a 10-16 record in Sacramento. The Kings also lost their last game but over the last 10 outings, they hold a 1-9 record, so they are in much poorer form. It is no surprise to learn that the Mavericks have scored more points on average and have given up fewer points on average. The Mavericks have a record of 106.9 points scored and 101.5 points allowed. This stacks up much more favourably than the 101.3 points scored by the Kings and the 104.6 points allowed by the Kings. The Mavericks had a big loss at the Golden State Warriors on Wednesday, being gunned down by a score of 128-114. The Kings lost to the same team on Tuesday night, the Warriors winning in Sacramento by a score of 96-121. There are injury concerns for both teams heading into this one. The Mavericks have issues over Rajon Rondo, Devin Harris and Chandler Parsons while the Kings are monitoring DeMarcus Cousins and Carl Landry. This is a game that the Mavericks really should mop up easily and unless the handicap becomes too severe, they are the team you should be backing going into this one. Bet Now!